Graduated from a WA University? The new Western Australian Graduate 2018 occupation list has been released. 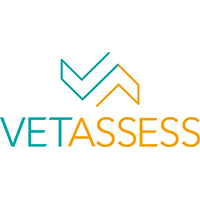 See the list here..
Our in-house Skills and Qualification Assessment Co-ordinator can advise on your prospects for obtaining skills assessments through Trades Recognition Australia (TRA), VETASSESS and many other skills assessing bodies. Contact us on info@estrinsaul.com.au to arrange a consultation. We can help with General Skilled Migration (GSM) visas (subclass 489, 189 and 190) Australia remains a favoured destination for international students and skilled migrants. However, navigating Australia's immigration laws can be a daunting process. Our immigration professionals can confidently guide you through the skilled visa process to ensure you obtain the right visa to live and study in Australia. Our lawyers also have considerable experience assisting students with responding to student visa cancellation notices and seeking visa options after the completion of their study. Australian immigration law also allows for permanent visa applications under the point-based General Skilled Migration (GSM) system. We can assess your personal circumstances against the point-based criteria, and assist you with lodging either an independent or state/territory sponsored visa application.